Create stylish, homey and practical rugs for your home using simple techniques. 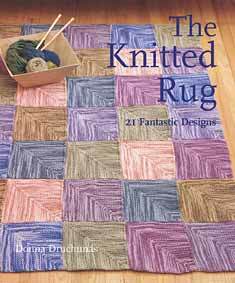 Projects in this book range from durable doormats to cuddly throws. Some are felted, others soft enough to use as nap rugs for children, yoga mats, or lap blankets. There are lined rugs, coiled rugs, and patchwork quilt motifs. Hardcover; 24 projects; 125 pages.